Cool Large Areas economically with Aira Evaporative Coolers. Aira is a leading Australian Manufacturer and supplier of commercial and industrial products, specialising in Standard and Custom Built Evaporative Coolers for a wide range of Industrial, Commercial and Residential applications. Aira Evaporative coolers are industry leading marine grade aluminium coolers for commercial and Industrial applications around Australia. 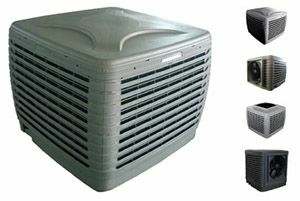 AL coolers utilise 75mm high efficiency celpad media, a heavy duty marine grade aluminium cabinet, low water content reservoir and a range of optional features such as adjustable roof stand, dump valve, painted finish, external louvres and specialised screens. From 1500 to 23000 l/s, thousands of down, side and top discharge AL coolers have been installed in applications as diverse as mining and construction sites to specialist hospital projects. 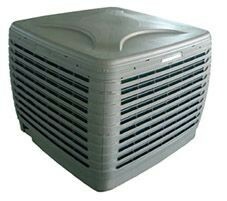 An ideal replacement cooler for arctic circle, airite and C/R coolers. An extensive range of spare parts are also available. Aira’s high efficiency Stirling range of Evaporative Coolers suit any requirement, from large homes, factory machine shops, to large data centres. • Highly efficient 100mm cooling pads with large evaporation capacity and cooling efficiency. • Auto dump cleaning function. • 10 year cabinet warranty. • Heavy Duty Grey UV resistant external polymer casing. • Specially-designed axial fan with large airflow, low noise and energy-saving design. Heating Cooling Ventilating (HCV) units combine gas heating with evaporative cooling to provide economic heating, cooling and ventilation. 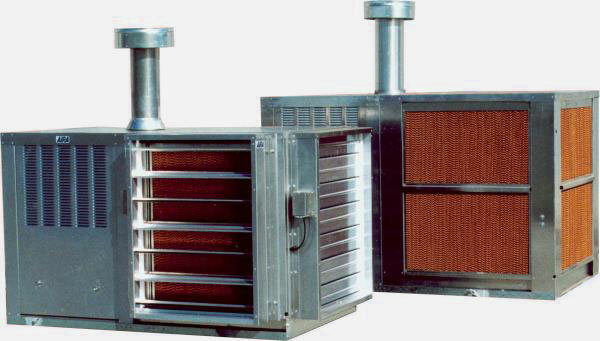 Available as single pass or combined heater return air. Australian manufactured in marine grade aluminium with high efficiency Celpad filter pads with saturation efficiency of over 80% and a light weight ABS plastic water tray. The HCV has a 5 year unconditional Warranty on the stainless steel heat exchanger, firing on LPG or natural gas. The fan is dynamically balanced, centre hung centrifugal for strength and long life. The fan can be single or two speed with manual, rotary or VSD controls. The HCV includes modulating electronic flame control, leaving air temp compensation, control switching, and can have motorised air dampers for low heating air quantities. Perfect for factories, warehouses, hotels, clubs, restaurants, shops, offices, nurseries, schools and other commercial and industrial applications. HCVs can incorporate a range of options including easy to assemble adjustable galvanised roof stands, alternative location return air and specialised screens for bushfire prone areas or other applications. HCV units can be installed on roofs or at ground level and sometimes plant rooms. Aira also carries a range of spare parts for older Crockford and Robertson and Airite HCV units. 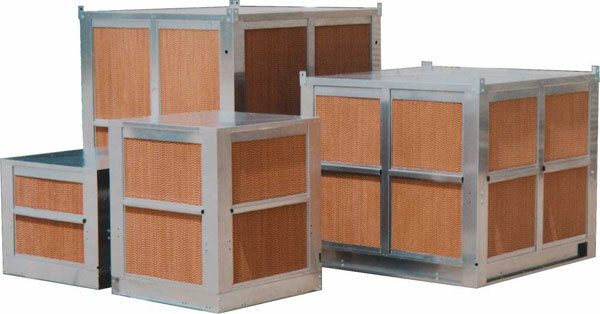 ira Evaporative coolers are industry leading marine grade aluminium coolers for Commercial and Industrial applications. 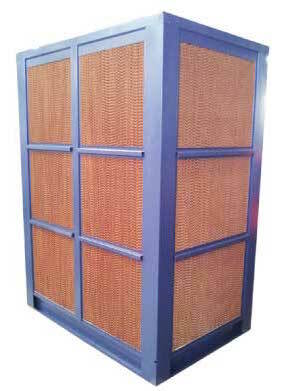 Compact design evaporative cooler designed for warehouses, stadiums and schools Evaporative cooling is an economic environmentally friendly way to cool large areas. • High efficiency (*80 % efficient) long life CELPAD pads. To contact your ecoHVAC representative, please visit our Contact Us page.